Salani is proud to show the new Gig series with 2 seats convertible in 3. The new Gigs will be lunched in the market the next autumn. 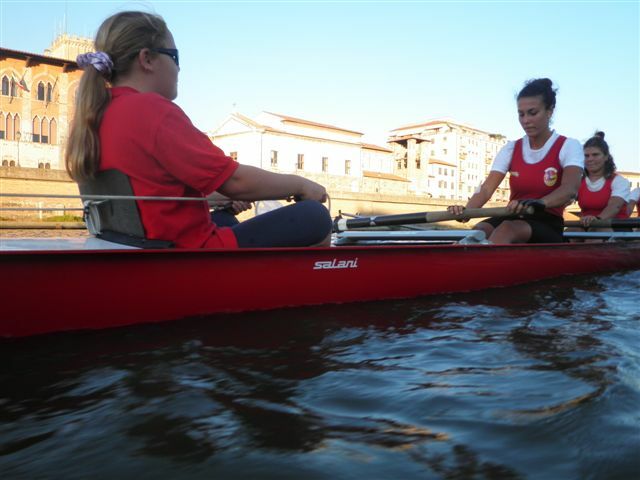 The materials and production processes are the same of the competition boats. The Gig with 2 and 3 boats will set the alluminium wing rigger anodized which make theme the only Gig with wing configuration in the world. Moreover, the alluminium wing rigger gives to the gig the best performances and design absolutly. 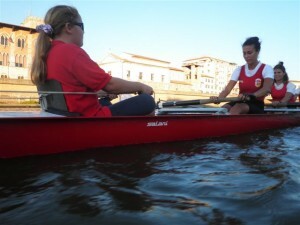 The first series will set scull riggers. Coming from Pisa airport: take shuttle train to Pisa railway station. Take the train to Florence. Get off at Empoli stop. Before notice a delegated person will be in charge of the transport to Empoli station to the boatyard. By car: take the FI-PI-LI direction Pisa-Livorno. Exit to Montelupo Fiorentino. Follow indication for Capraia and Limite. The address of the yard is Via Amilcare Ponchielli, 7. Coming from Amerigo Vespucci Airport: take shuttle train to Santa Maria Novella railway station. Take the train Pisa. Get off at Empoli stop. Before notice a delegated person will be in charge of the transport to Empoli station to the boatyard.